in the Coronation Hall & Jubilee Room, Bleadon, BS24 0PQ, from 9.00am - 12.30pm. 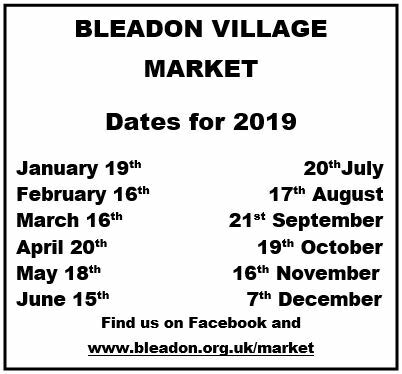 New Market times from January 2018: Set up from 8.30 am Market opens 9.30 am Closes 12.00 noon. The Bumper Christmas Market is always on the first Saturday in December, and held in the three halls on the village green.